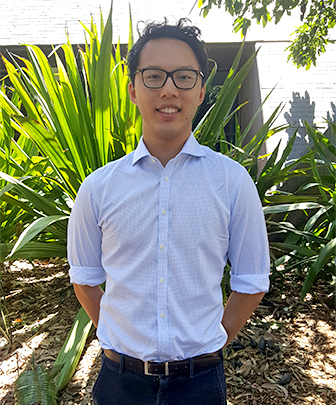 "My honours project examined the psychological health of centenarians and near-centenarians. The study compared levels of psychological distress and life satisfaction in the Sydney Centenarian Study participants to a younger CHeBA cohort. I also explored the protective factors for maintaining good psychological health as people reach very advanced ages. This is an important issue as Australia is an experiencing a rapidly ageing population. I have had a variety of opportunities during my research year, which involved conducting a systematic review, presenting a poster at the Living to 100 Conference and writing my final thesis." "Professor Henry Brodaty has been a brilliant mentor. He has taught me clinical and research skills that will be invaluable for my future career as a doctor." Doing an Honours project with CHeBA provides an excellent opportunity for developing strong research skills within the field of brain ageing. Honours students develop research skills and learn about current issues in brain ageing research. An understanding of brain ageing research will help students in their future careers as health practitioners (both as general practitioners and specialists, such as geriatricians), policy makers or researchers. Students who graduate with an Honours degree (at least class 2 division 1) in a relevant field from an Australian or New Zealand University may be eligible to apply to the Masters by Research or PhD programs in the Faculty of Medicine. For more information on Honours degrees in the Faculty of Medicine at UNSW, including application deadlines, visit the BSc (Med) Honours Program webpage.